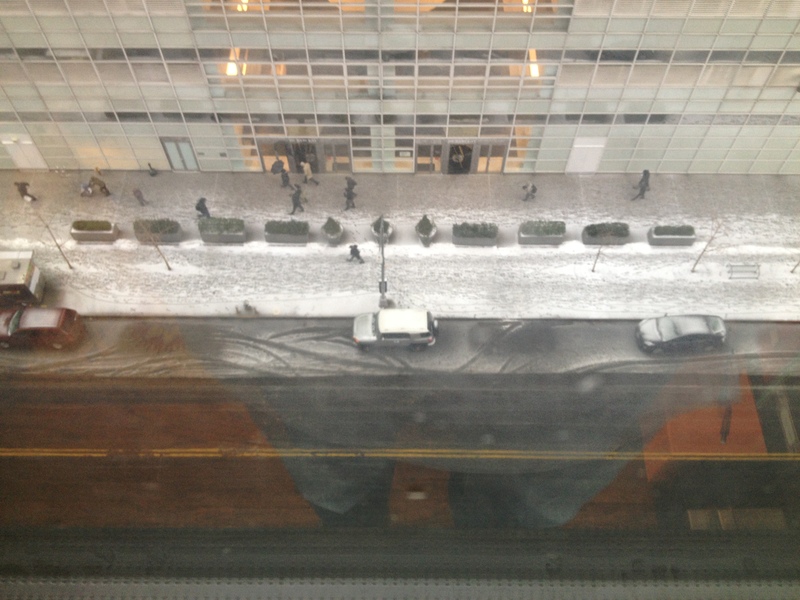 Here’s an updated photo of the state of things outside my apartment. You can compare it to the image I posted earlier. It’s getting really bleak out there. 1) A CNN reporter has the last name is Snow. Come on! 2) They interviewed a couple outside about how they were doing the right thing by staying inside. That doesn’t even make any sense. 4) Thinking about ordering Chinese food. Right? 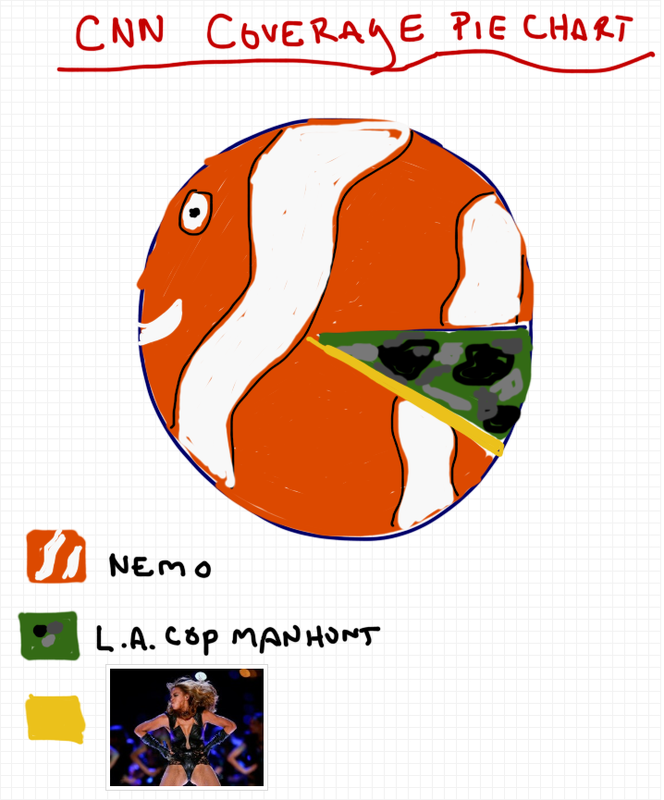 This entry was posted in regular and tagged blizzard, nemo by Rob Pollak. Bookmark the permalink. I am following this from LA where it is freezing (by LA standards) . You are hysterical and I am forwarding to my pals and family in various parts of Manhattan and Brooklyn. We are, collectively, highly amused! Thanks, Deb! Stay safe. I don’t want you to catch a chill. I am very glad to have stumbled upon your blog. It’s great to laugh out loud. I love your drawings. 3. Highlight @the hotel our room has a gigantic bathtub in the room, which I am watching my kids load the tub with bubbles and use it as a mini pool. While reading your updates on the storm. Did you order Chinese food or are they “hunkering down” too? We went with Indian food. it took like 25 minutes for the delivery guy to get here. SOOOOO annoying.